There are some photographers that are deemed as Gods, like Robert Capa and Henri Cartier-Bresson. Nachtwey is no exception to that high standard. It all started in 1976 as a newspaper photographer in New Mexico where he started to develop his legendary photos. His photos are the essence of grit. 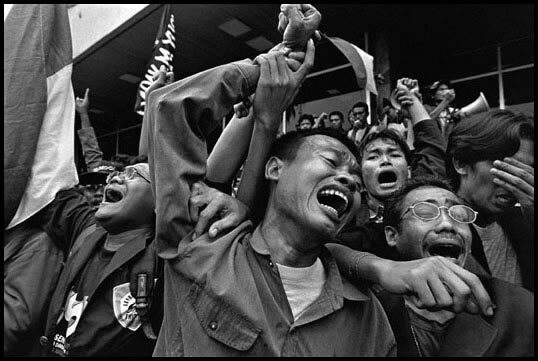 I love his photos because of the harsh black and white contrast and the incredible showcase of human distraught. Let me rephrase that. I don’t love the human distraught, but never have we seen such despair to the point where it feels as if we are there personally. 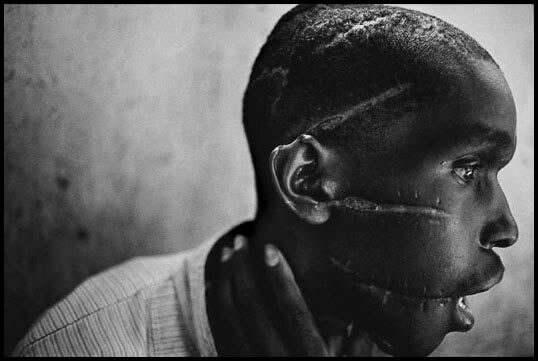 Ethics of photojournalism are always debated and constantly thought of especially when you see Nachtwey’s photos. All I can think of is how these images and the moments before/after must be sketched into his memory forever. Because whether you do something or not, I doubt he thought he would have encountered any of these moments in his life.. well maybe as he pursued this career as a war photographer.